Sabi is a company that designs products to improve day-to-day life. From pill organizers to canes and accessories, they offer innovative and stylish solutions to everyday problems. One of those innovative products is the SPORT cane. It's an all-terrain, lightweight cane for anyone who needs a boost to walk that extra mile, needs balance support, or wants a stylish lightweight version of the traditional cane. Whether it's used for everyday walking, climbing a mountain, or taking a stroll through the park, the SPORT cane is designed with a high-strength aluminum - the same grade used in bicycle frames. It's super durable and powder-painted, just like a bike; Plus it's made of a single piece so that it's more stable than an adjustable cane. The cane also features a comfortable handle with a smooth rubber coating for secure grip, as well as an air-cushioned rubber-based tip. The tip is made from the same material used in hiking boots and running shoes soles for stability, grip on uneven surfaces, and smooth walking. Plus, the cane comes in fun, bright colors instead of the traditional drab gray. My dad reviewed the Sport cane for me to replace his father's old silver cane, which he has been using recently as a stretching tool to do shoulder exercises after surgery. He compared the canes and found that the Sport cane is much lighter and easier to handle than the traditional cane. 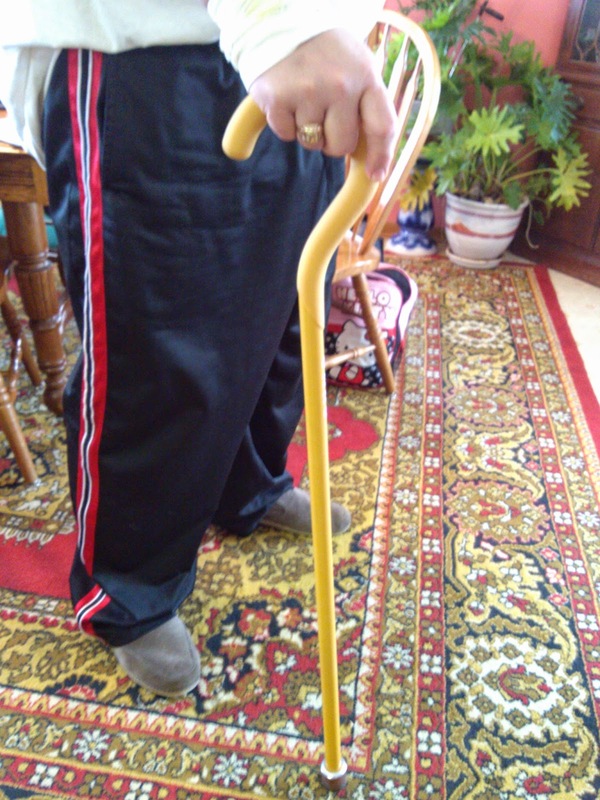 The Sport cane is also more ergonomic than a traditional cane. 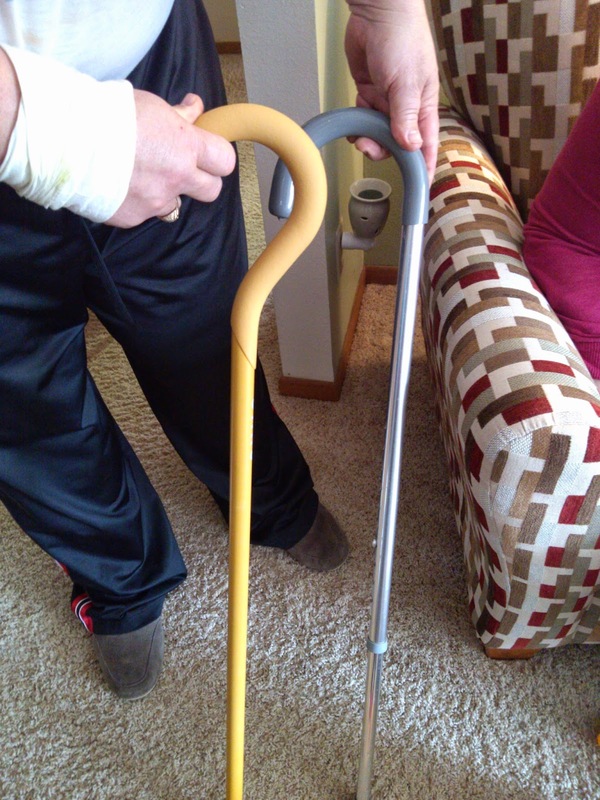 My dad really liked the bright yellow color and the soft grip of the Sport cane too. He will even be using the cane once in awhile for things like the State Fair or other events with a lot of walking when occasional support is needed. Check out all the colors available and more information on the Sabi Sport cane here: http://sabi.com/sport.html.